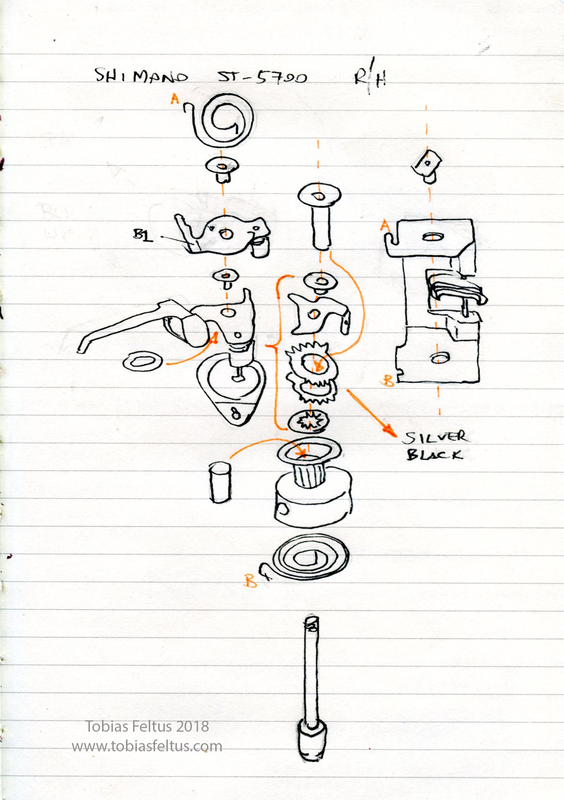 If you happen to have taken apart your shifter, here is an exploded view of how it goes back together. It’s not that hard, but it is really fiddly. 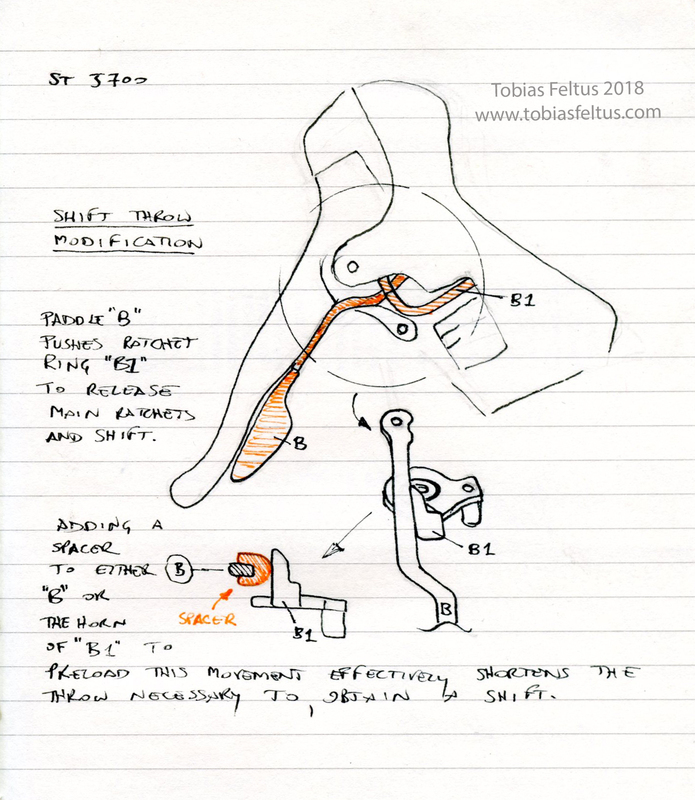 The upper two plates interact with the shifter ratchets and ratchet plates: they are the business end. I took it all apart and cleaned it with alcohol, then reassembled it dry and lubed it with TriFlow. This is not an ideal lubricant for a wet climate, but I am currently building this for the desert. Fortunately none of the springs need to be under load when you slide everything together, and once everything is together and the springs are loaded, you can take the pivot bolt out, push the assembly into the composite frame, then reinsert the pivot. The one interesting thing about taking this apart is learning how easy it is to modify the shift lever throw of the smaller paddle. The throw is less of an issue for me on these as compared to the older style of shifter (with external shift cable).